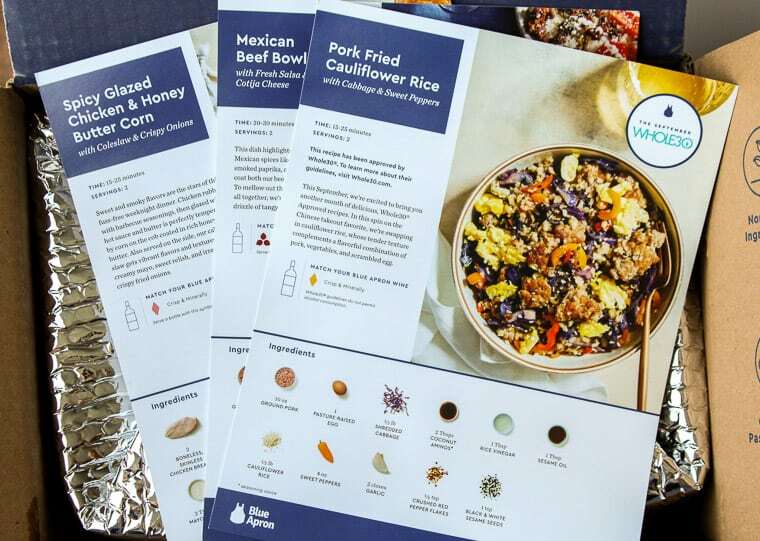 This October 2018 Blue Apron Review features 3 delicious, easy recipes using beef, pork, and chicken. Once again, I completely missed skipping this week’s Blue Apron delivery. I noticed when I went into my account to check the upcoming menu’s – oops! Thankfully, once again, I liked all the meals being sent and decided to do another review. 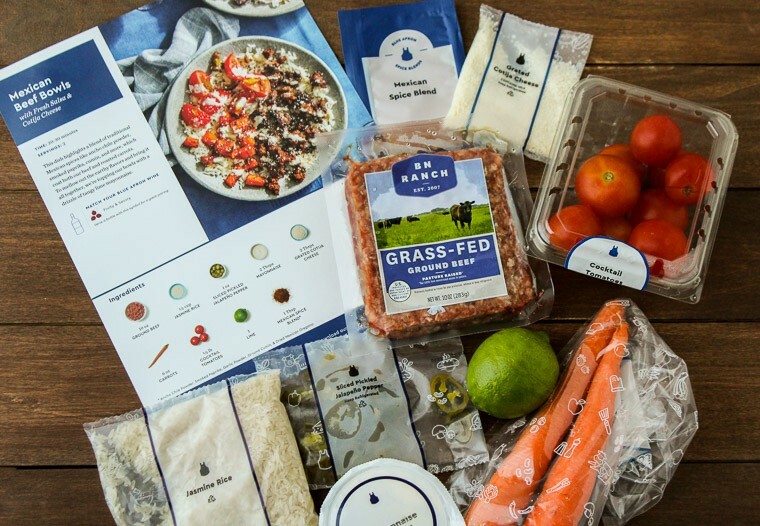 Blue Apron is a meal kit delivery subscription. Basically what they means is that every week, you chose 3 meals you like and Blue Apron will send you the recipe cards and all of the ingredients needed to make each one. You can skip anytime you want and canceling is easy with this particular company. Who is Blue Apron For? Blue Apron is for just about everyone! 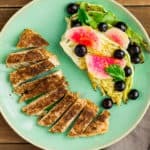 I love it for those busy weeknights when I don’t have a lot of time to cook or when I am running behind on getting groceries. It’s also great for beginner cooks, college students, families…you name it! 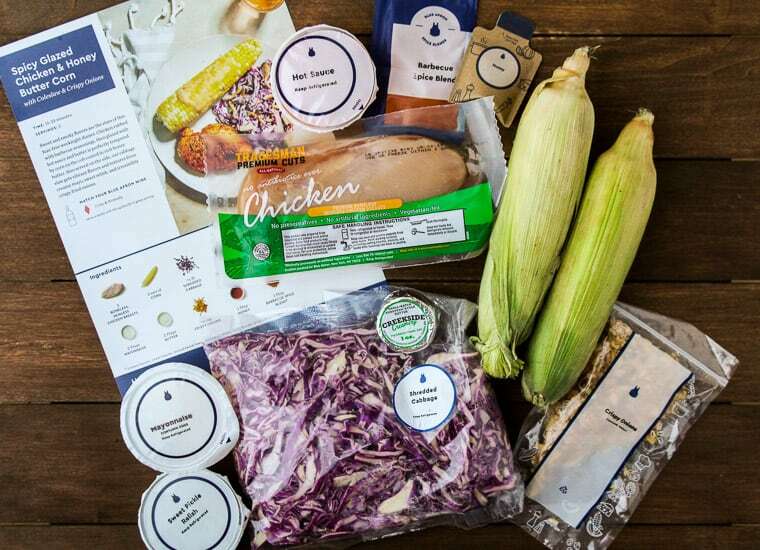 Blue Apron doesn’t label which diet’s their meals fit into for the most part. They do note vegetarian recipes and sometimes also do collaborations like with Whole 30. Otherwise you would have to check the recipe’s nutritional information to determine if it’s right for you. Meal prices range from $8.99 to $10.99 a serving depending on which plan (2-person or family) and how many servings (2-4) of each recipe you order. 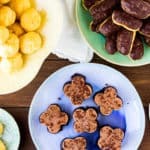 At the time of this post, Blue Apron is offering $50 off of your first two boxes (that’s $25 off of each box). To get this offer and check out the upcoming menu, CLICK HERE! Like I mentioned at the beginning of this post, I completely forgot to go into my account to skip this week’s delivery, but after seeing which recipes were coming, I knew it would be good! Blue Apron has been collaborating with Bob’s Burgers and I was really excited to see that I was going to get to try one of their recipes out too! Shipping is included in the price of the meals. My box arrived on time. It was well insulted with 2 large ice packs. The proteins were at the bottom of the box on top of one of the ice packs to ensure they stayed very cold during shipping. 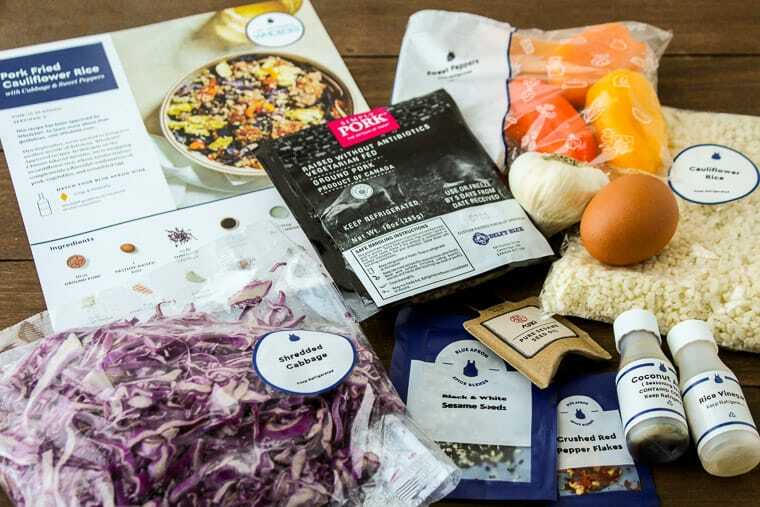 Blue Apron does not package the ingredients for each meal together. 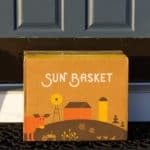 They do package what they refer to as “knick-knacks,” which are the smaller items for each recipe, together though. Once I got my box, I separated everything out by recipe and put it all in separate bags in the fridge for easier access when I am ready to cook. 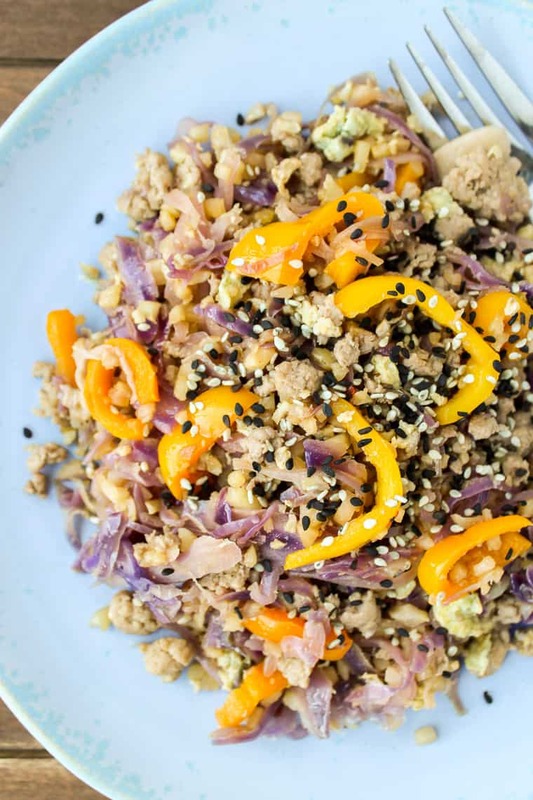 This Pork Fried Cauliflower Rice with Cabbage and Peppers is another Blue Apron x Whole 30 collaborative meal. I know they did this collaboration back in January and February as well. The entire time I was making this dish, I had the urge to add ginger. I didn’t, because Blue Apron meals are usually super flavorful as is. I ended up wishing that I had added it. While this recipe was good, and one I’d eat again, I felt it needed a little something more still. I did love the little crunch from the sesame seeds! 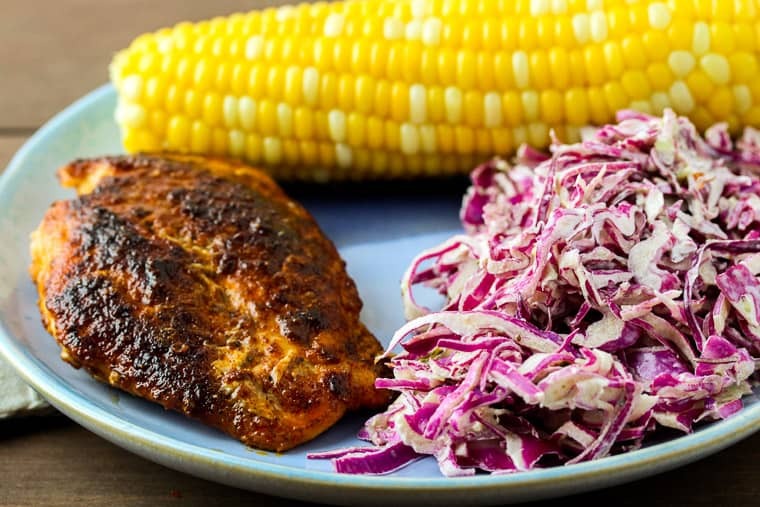 This Spicy Chicken and Honey Butter Corn recipe also came with Coleslaw and Crispy Onions. One of the ears of corn was open at the top and had a small amount of mold on it. That same piece of corn also got a little smashed in a couple of areas during shipping. I took pictures and will let Blue Apron know. It wasn’t a huge deal for us, since only my son eats corn. I know Blue Apron has a Freshness Guarantee and will make it right. The remainder of the meal was good. I used all of the hot sauce, but still didn’t get much heat. The coleslaw was different. I haven’t had coleslaw with relish in it before, but it was a nice change! 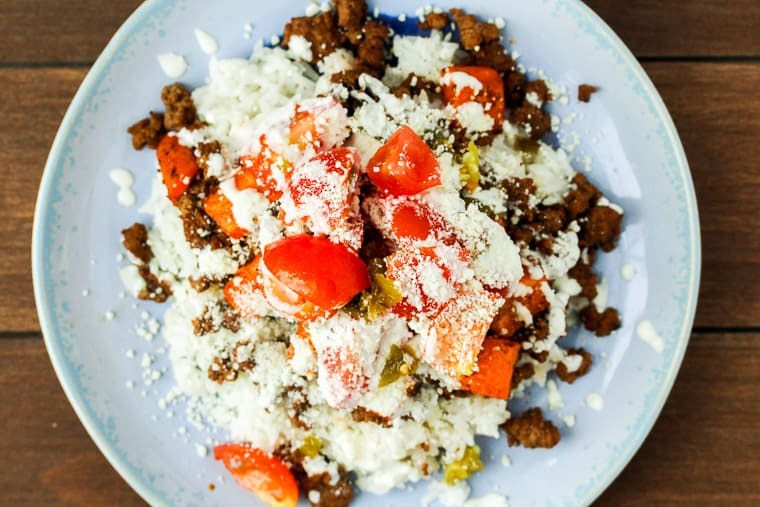 These Mexican Beef Bowls were my favorite by far! The beef is seasoned with a blend that reminds me of taco seasoning. The sweetness from the carrots was really good, and of course I loved the lime mayo and cheese on top, but my favorite part was the fresh salsa. The salsa was made from fresh tomatoes, pickled jalapenos, and lime juice. I’m already planning other things to use it on! the food arrives fresh and undamaged (in my personal experiences) and there is a Freshness Guarantee that if something is not as it should be, Blue Apron will make it right. the serving sizes are good, and the vegetarian serving sizes are very generous! 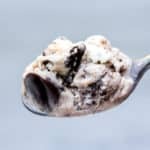 fun collaborations with brands like Bob’s Burgers and Whole 30.
there is no reminder for upcoming orders – most don’t have this service, so if you forget to edit/skip, you will be charged and the order will ship as is. Blue Apron does not really cater to specific diets. You would have to look at the recipe ingredients and nutritional information to determine if it’s right for you. there is excessive packaging. 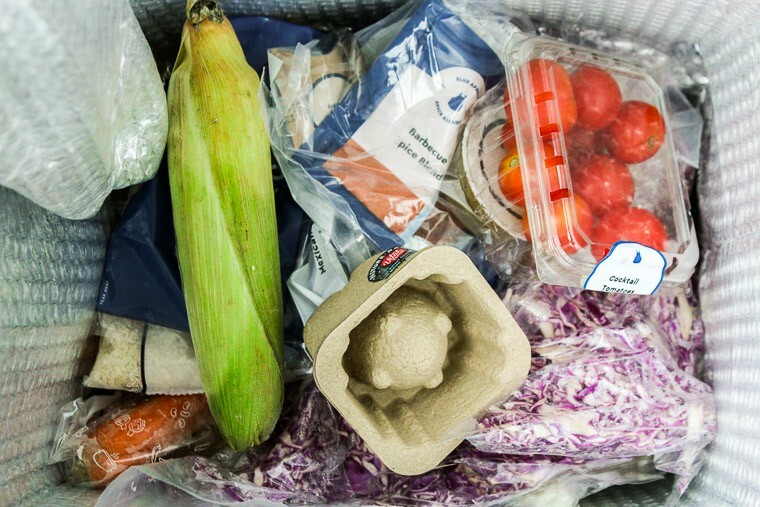 Even though Blue Apron does not divide the recipes into separate bags, almost every different item is still in it’s own plastic bag. We do reuse and recycle what we can, but this may be an issue for some. Overall, I highly recommend Blue Apron! 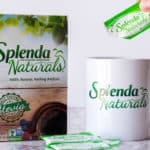 I haven’t had any issues with this subscription at all and the food is always delicious. 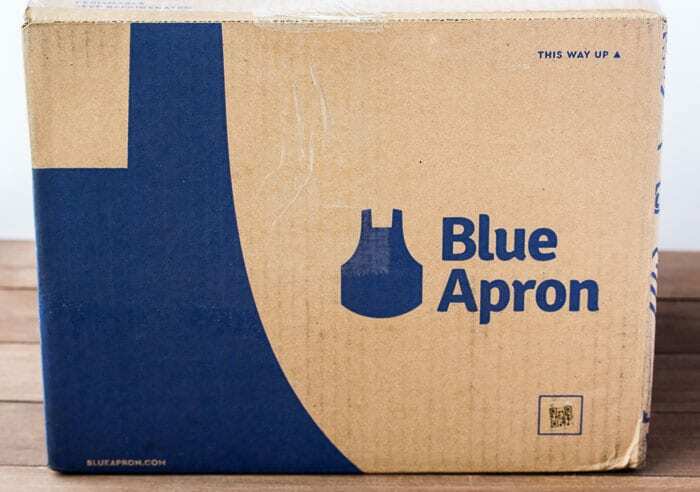 So, if this October 2018 Blue Apron review has you ready to order, you can check out the upcoming menu and get $50 off of the first 2 boxes ($25 off of each box) by CLICKING HERE. On the top menu, click on “View Upcoming Menu” to see what meals are available in the upcoming weeks BEFORE you decide to start a subscription!